1 Cebu Pacific – Smart LTE SIM (per booking) for FREE via mail! Purchase International Travel Tickets from Forex Travel and automatically receive 2 x $20 Forex Cargo Discount Vouchers for Forex Boxes. Enjoy your vacation in the Philippines! The Philippines is considered a top tourist hotspot thanks to its beautiful beaches. Notable tourist attractions include: Boracay, Cebu, Coron and Puerto Princesa, Palawan. Travel now so you can experience the country’s beauty coupled with crystal clear waters and hospitality of the locals. Forex Travel offers exciting travel deals with affordable hotel accommodation, airfare and, land arrangements. Forex Travel offers domestic and international travel. See the latest trends and hippiest places in the Philippines! I do appreciate the extent of service you’ve rendered. when I had to rebook my flight to an earlier schedule. Thanks for catching up with us. We had a wonderful time on Boracay - too short - but Fridays was really great! The staff were extremely friendly and attentive and the accommodation was perfect. we could just walk from our room to the restaurant to the beach and back. Everything was at our fingertips!. water buffaloes and thatched bamboo huts. It really was very pleasant and the boat trip was fun. Also the road is exceptionally good, much better than we had expected. Manila has changed dramatically from when we were there 29 years ago! The shopping malls are enormous! We thoroughly enjoyed our stay at the Mandarin Oriental. Once again, the staffs were extremely friendly and efficient, and the food was top-notch. the only negative thing we could say was that their food was not very good. Apart from that, everything went extremely well. Thank you for your efforts in organising the trip - especially the Boracay visit. Thank you for a very efficient and most friendly service. It makes whole world of difference. The holiday in Cebu was wonderful! I can not speak highly enough of the White Sands Resort. and it was a lovely quiet week after the hectic non stop pace of Manila. Thank you for booking everything. Thank you very much for your kind effort and wonderful work!! What a great service Forex Travel provided to the Australian Team Southern Cross during our GK Bayani Challenge. Just the challenges of so many flight and accommodation changes to the team, the Forex Travel team of Ariel and Cathy did an excellent job getting us there and back. Airport transfers and our accommodation was great. You can count on us to be one of your customers and will refer my other GK colleagues for their future tours to Forex Travel. I will send the confirmation of payment this afternoon when I make the payment. I appreciate the speed of you arranging the reservation, very impressive. 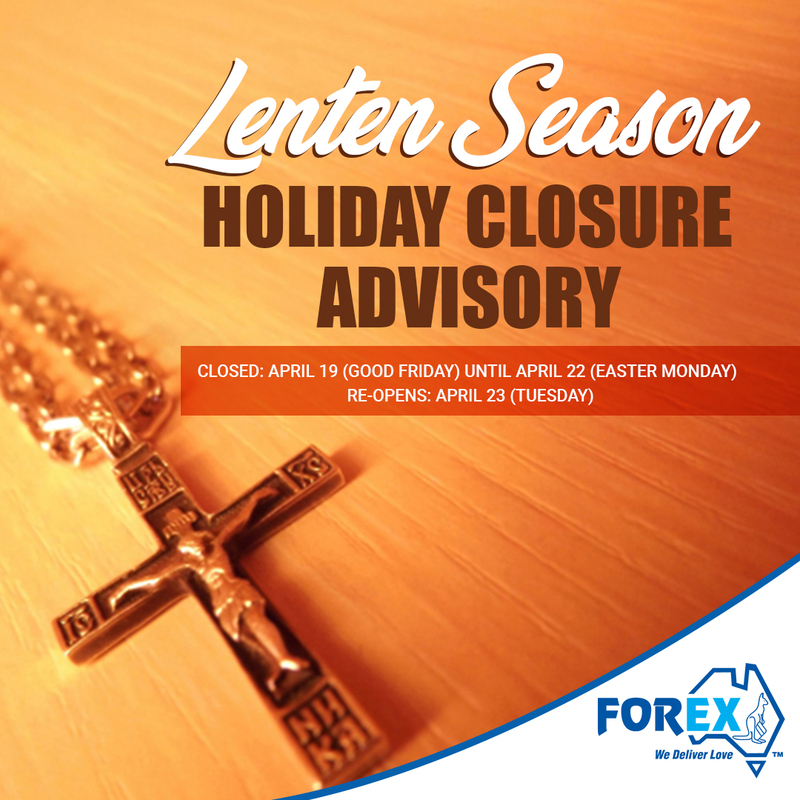 Forex Travel is wholly Australian owned and offers a total booking solution for all your travel requirements. Whether it’s a sun-soaked getaway or that important business trip. Whether you’re travelling alone or in a group of friends, family or colleagues. Join our VIP subscriber list now and get great airline promos and discounts!